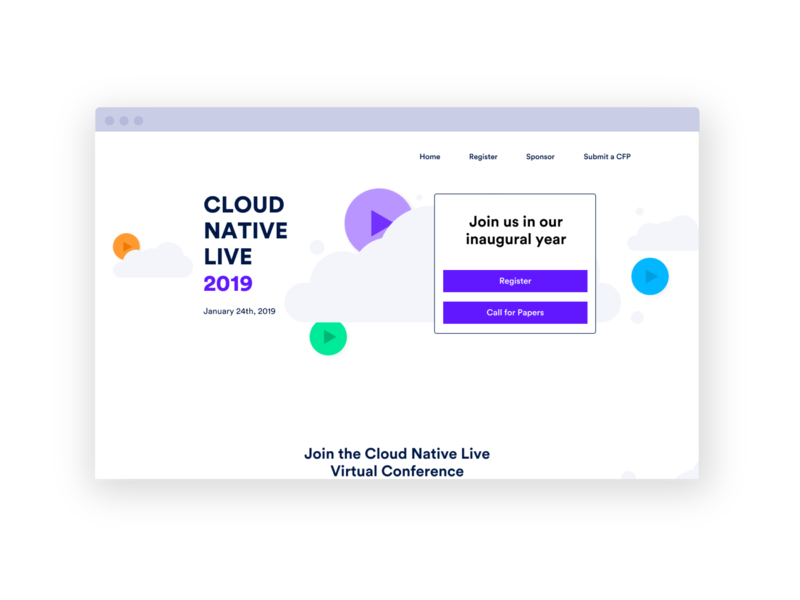 Cloud Native Live is an all-day streaming event presented by Twistlock, and focuses on building, running and securing cloud native applications. 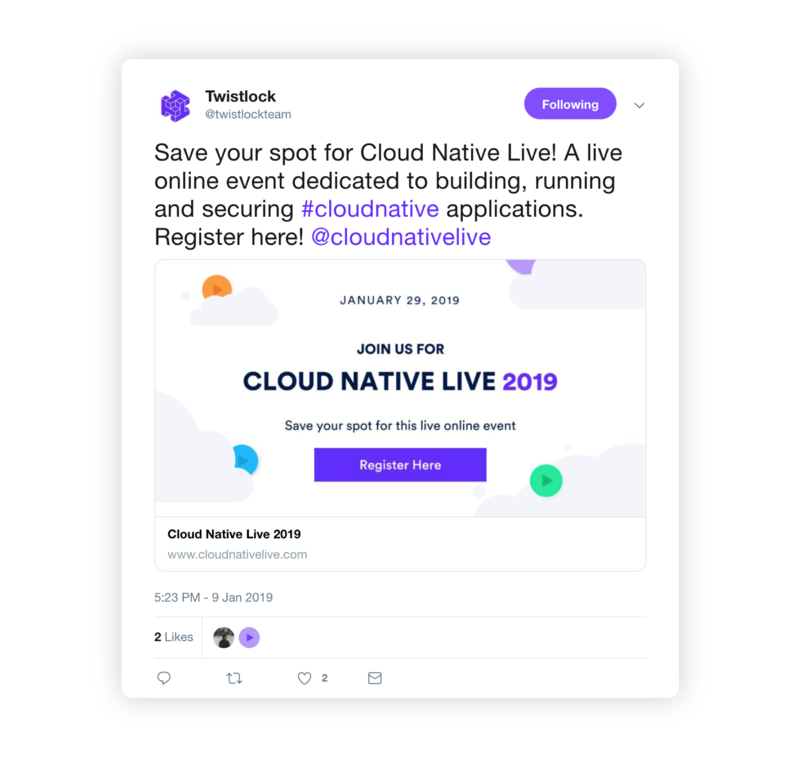 For its inaugural year, I wanted to design an event that captured the whimsy of the Twistlock brand while existing as its own identity that would be recognizable as Cloud Native Live. Naturally I decided to build off of the “cloud” concept as it is the cornerstone of the event. I wanted to make sure the design was fun and engaging but not distracting. After I created a library of cloud graphics, I added the multi-color play buttons to incorporate the “live streaming event” concept. That was it, keeping it simple. I still needed a unique logomark for Cloud Native Live, something that could be used over time despite changing the year in the name. I wanted the logo to be a focus point, but not compete with the visual graphics of the event. Since “Cloud Native Live 2019” is a decently long title, I decided to make it feel bite sized. So I stacked the words and left aligned everything, lastly I made the “2019” stand out by putting it in the Twistlock purple. 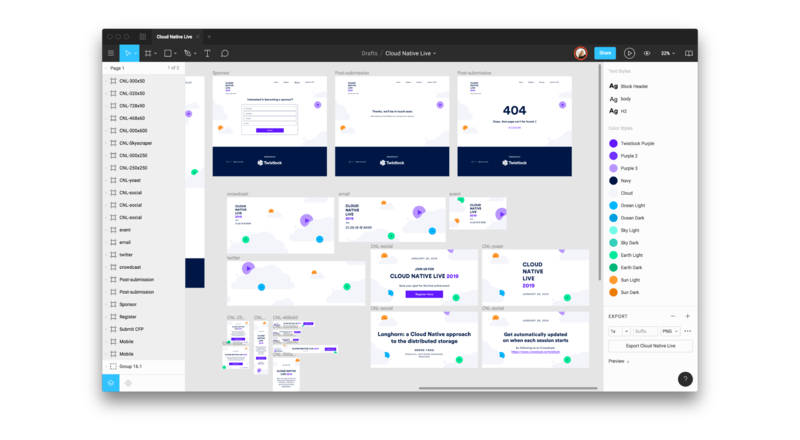 Everything came together cohesively and with a design system in place, I could start designing the website and all of the marketing collateral.